As part of the World Music Concert Series, Idan Raichel & Vieux Farka Touré: The Touré-Raichel Collective perform in Toronto at Koerner Hall, Royal Conservatory of Music, on Friday, November 21 at 8:00 pm. Tickets starting at $35 are available online at www.performance.rcmusic.ca, by calling 416.408.0208, or in person at the Weston Family Box Office. The chemistry between the musicians, the pianist Idan Raichel and the guitarist Vieux Farka Touré is profound and has produced extraordinary results. 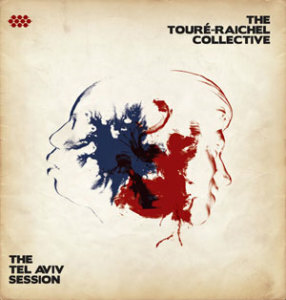 Since 2010 the partnership has evolved from an informal jam that produced a seminal recording, The Touré-Raichel Collective: The Tel Aviv Session. The synergy between the pianist and the guitar-playing son of the great Ali Farka Touré is palpable. It can be heard in the manner in which one finishes the lines of the other and when they are not doing as such, then the mystical manner of each of the protagonists seems to feed off each other to such an extent that either one might be responsible for opening a proverbial portal into a realm where the spectral music of the two Diasporas transfers the haunting aural energy into the earthly domain where listeners are rapt and mesmerised. The piano is never used for histrionics, but with a gentle virtuosity, Idan Raichel exchanges muscular lines born of vivid melodies and incredibly coloured and textured harmonies with Vieux Farka Touré who returns the favor with the breathtaking tone and timbre of his acoustic guitar that sounds variously as lithe as a sitar and as lissom as a calabash. This Tel Aviv Session was followed up two years later with an equally exciting recording The Paris Session in 2014. Here too the music appears to have been formed by the ethereal partnership between the two musicians. Another factor in the magnificence of the recordings is the composition of the group. The Tel Aviv session was also crafted by the extraordinary bassist, Yossi Fine, who has also played with the ineffable Stanley Jordan as well as the Gnawa musician, Hassan Hakmoun. On the Paris Session the musicians are from Mali and include bassist Daby Touré as well as musicians from Israel including Niv Toar on trumpet. 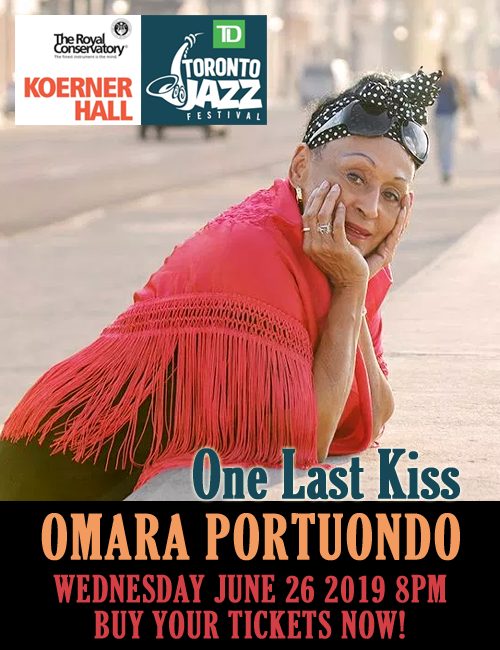 With extraordinary ensembles on each of the projects the music feeds into the hypnotic nature of both Hebrew as well as Malian/West African rhythms both of which mimic the haunting echoes of the desert and the rhythmic gait of camels as they traverse the exquisite domains of each of the regions. The penchant for repetitive figures and the ululations of the harmonica paint a wondrous picture of the aural topography of both Israel as well as West Africa. 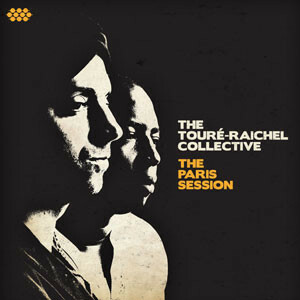 It would appear that The Touré-Raichel Collective has blurred the lines that separate music—the ethereal beauty of the resultant music on this session is proof of that. The music sways with a hypnotic rhythm and the melodies strike deep within the heart of the listener. 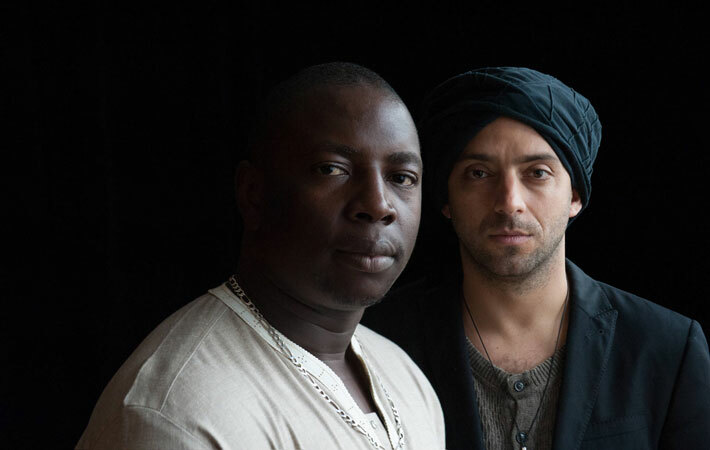 Idan Raichel and Vieux Farka Touré intertwine like a spiral shaped DNA molecule as the piano and the guitar twirl and whirl around each other in a mystical dance. The music seems to be interminable here and there appears to be no beginning and no end to each of the songs; only that one thematic sequence gives way to another that seems to rise out of nowhere and set like a sun in an interstellar realm. The beautiful nature of these two instruments is heightened by the players as Idan Raichel and Vieux Farka Touré lead an ensemble that appears to inhabit that rarefied dominion. Nowhere is this more gorgeously evident than on “Experience” a nebulous piece that seems to dwell in a sort of hazy horizon where the ebb and swell of the music rises and falls like magical waves on a Homeric Sea. The results of this album would certainly have precluded the recording of another. However, it might have been hard to imagine topping the music of this one, not only in the playing of the protagonists but in the seemingly identical wavelength that existed between the two musicians. The music of this album differs in one major aspect from the previous album, The Tel Aviv Session and it is this: The Paris Session sees both musicians performing as vocalists as well. This in fact adds to the mesmerising quality of the music. But the vocals make this a vastly different album from its precursor. Here, too Idan Raichel makes a real change in his own contribution to the music, by adding a Moog to the mix. The space-like sounds that Mr. Raichel produces, adding these to the music makes it all sound very beckoning. Another player who also contributes to a more plump and rounded tone throughout the album is the bassist Daby Touré. The tone and timbre of his playing is exquisite and he enriches the music with viscous notes that make long loping bass lines throughout the album. But the high and lonesome voice of Vieux Farka Touré is probably the most unique feature of this record. Mr. Touré has captured the rich tradition that his father once inhabited with such genius that it is difficult to listen to Vieux Farka Touré without remembering the music of his father. The guitarist is also an incredible virtuoso and like his father has a distinctive sound that captures the unique fluttering sound of the West African n’goni and seemingly mixes it with the drone of the sitar. This album together with The Tel Aviv Session is an indescribably wonderful addition to any collection of music.